We are excited to kick off 2019 with a free seminar focusing on Newcastle’s Aboriginal community, their rich heritage and the use of new technologies in assessing the archaeology of culturally significant sites. The HEI acknowledges the Awabakal People as the traditional owners of Newcastle city area and areas to the south and west including Lake Macquarie. The Awabakal people lived very rich and vibrant lives in and around Muloobinba (Newcastle) and the Coquon (Hunter River). The Awabakal people played a significant role in shaping the environment of the region. They practiced fire-stick farming extensively, which helped them to hunt and navigate through the dense prickly scrub along the coast. Newcastle’s main city thoroughfare and now part of the V8 Supercar’s circuit, Watt Street, was built over an Awabakal path that ran from the shore of the Hunter River to the top of what is now King Edward Park. The Awabakal people were noted as being strong and determined defenders of their country, which was often contested by neighboring Aboriginal groups due to its rich coastal resources. 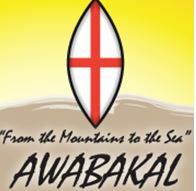 Following colonisation, the Awabakal people also played a prominent role in establishing relationships between European settlers and Aboriginal people in the early 1800’s, with the Awabakal leader Biraban being an interpreter for the early colonial government, and helping compile the first grammar of an Aboriginal language in Australia. intangible heritage values – what is cultural heritage? how is it protected? what can be done to maintain it? Aboriginal community consultation processes – what works, what doesn’t and how can we improve it? the use of ground-penetrating radar and other methods for investigating culturally sensitive sites. Please RSVP to the link below or email: scrick@slrconsulting.com if you are coming.